Bosnia’s capital city made Iron Maiden lead singer Bruce Dickinson an honorary citizen Saturday for a concert he performed while Sarajevo was under siege during the 1992-95 war. Mayor Abdullah Skaka presented the award at a ceremony in Sarajevo City Hall, which was badly damaged during the long Bosnian Serb siege of the city and since restored. 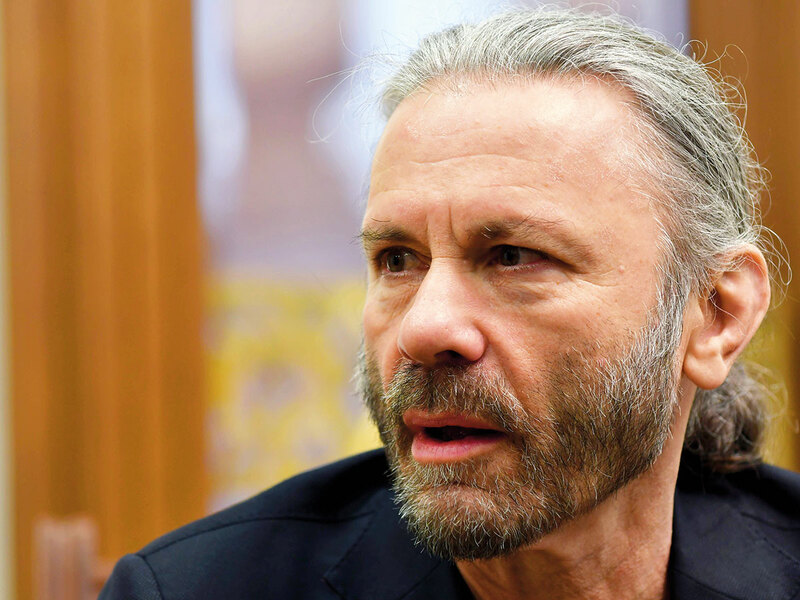 “The arrival of Mr Dickinson in Sarajevo in 1994 was one of those moments that made us in Sarajevo realise that we will survive, that the city of Sarajevo will survive, that Bosnia-Herzegovina will survive,” said Skaka. Saturday was Sarajevo Day, which marks the city’s 1945 liberation during the Second World War and the start in 1992 of the Bosnian Serb siege that killed more than 11,000 people, including 1,600 children.